For a Passover seder a half-dozen years ago, Charlie Emers, co-owner of Patchwork Farm & Bakery, baked a few rounds of makeshift matzoh. Not so difficult, he thought, as the unleavened bread served for the Jewish holiday is essentially a cracker by another name. “I started to think about what matzoh is and what it might have been,” says the farmer-turned-bread baker. “It definitely wasn’t a white square that came out of a square box,” he says. Nor do those dry, white (or eggy) perforated sheets taste as good as Emers’ grainy, nutty-tasting rounds of Everyday Matzoh. The baker uses organic ingredients, including spelt, a little rye, seeds (sunflower, flax, and sesame), and salt. The flatbread is rugged looking, now more oval than circle, and just like traditional matzoh, there’s no yeast or other leavening to cause it to rise. (It’s pareve but not kosher.) What might be the biggest difference between Emers’ matzoh and the boxed variety is that you’ll want to eat his tasty variation all year long. 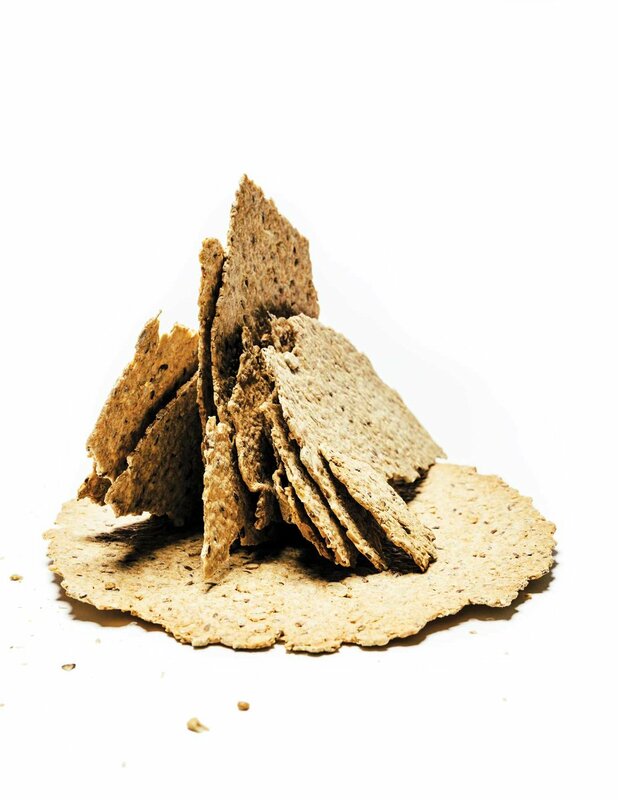 Thin and crisp with a grainy, wholesome flavor, the crackers are perfect with cheese, hummus, egg salad, tuna, and peanut butter. One customer likes to crack them into small pieces for sprinkling on salads. Emers, who has been baking bread for 16 years, turns out almost two dozen varieties, including Country French, Polenta Sourdough, three different kinds of rye, challah, and whole wheat, as well as bialys and bagels. The matzoh, quicker to produce than bread because there’s no resting or rising required, is the baker’s first unleavened experiment. It’s a winner.